It has been three months since "Goblin" wrapped up a blockbuster run. Hence, most of us are wondering what our favorite characters have been up to after the success of the tvN series. KPop idol Yong Junhyung is all game to show off his inviting looks and share his thoughts about music in the latest issue of GQ magazine. Kim Min Suk just earned himself the Best New Drama Actor award at the 53rd Baeksang Arts Awards for his impressive performance in "Doctors." 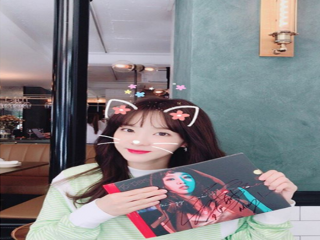 Hallyu star IU has recently graced the April 30 broadcast of the South Korean music program “Yoo Hee Yeol’s Sketchbook”. South Korean actress Kim So Hyun boldly opened up about some of her insecurities in the past in her appearance in the latest installment of MBC’s “Section TV Entertainment Relay”. KPop group TWICE has recently showcased their musical talent in front of their Singaporean fans in the second leg of their international tour held at The Star Theatre, The Star Performing Arts Centre on April 29. Park Bo Young made the right choice when she accepted the lead role in "Strong Woman Do Bong Soon." But what really inspired her to join the lineup for the JTBC series? 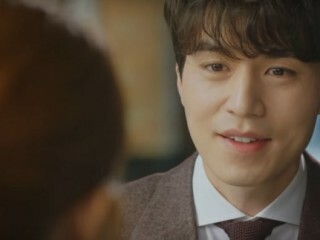 Lee Dong Gun shocked the fans when he confirmed his romance with Jo Yoon Hee less than a month after his breakup with T-ara's Jiyeon in February. Now, the actor took everyone by surprise when he announced his marriage with his new girlfriend who is now carrying their first child. Sandara Park and Minzy may not be in the same company anymore but they still rooting for each other like they are still a team. One of the proofs is when Sandara posted as has shown her support for Minzy′s new solo album. Park Hyung Sik would definitely pass the perfect gentleman test after showing his good manners to Park Bo Young during a fan meeting event in Singapore.